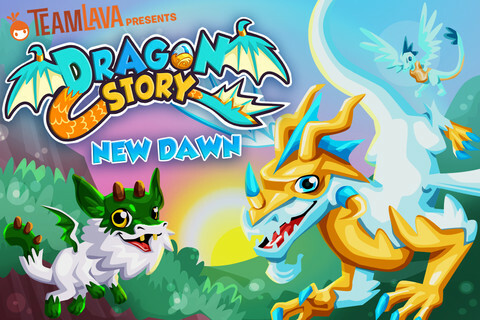 I don't understand why Dragon Story: New Dawn exists. I mean, I understand why it exists in the sense that it's worth playing if you're into empire-building games, and why it might generate a healthy chunk of change. These are both very good and mutually beneficial reasons for making a game. The reason for my confusion though is that I'm sure (adamant, in fact) that with the exception of some light artistic re-skinning, this game is functionally identical to a game I reviewed a month or so ago by the same developer, a game called Monster Story. I need to lay out the reasoning for this, just to check my thoughts and make sure I'm not overlooking something very obvious. In Dragon Story: New Dawn, you are growing a sort of personalized Jurassic Park. First you hatch an egg of your chosen creature, then you build them a color-coordinated habitat, then feed them with the food grown on your farms so that they can level up. The game henceforth is a dance of feeding and habitation timers which control the game's pace. You can only level dragons so far before you need to build the equivalent of Monster Story's evolution totem, after which you can hurl your creations at it and have them blossom into new and exotic creatures: rinse and repeat. 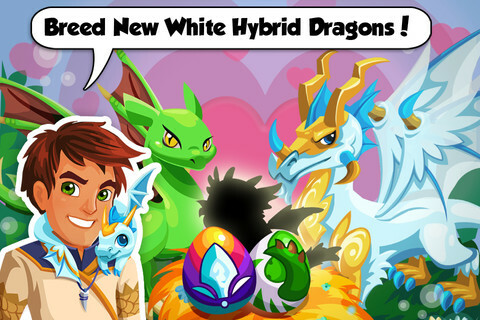 If you find yourself progress-blocked as a result of the expansion/production timers, you can visit another player's farms and interact with their own particular dragon breeds. We've done this before haven't we? Haven't we? Expansion missions are ubiquitous to the genre and so it's no surprise to see them make an appearance here: grow so many berries, buy another farm, clear out some swampland for further territorial growth etc etc. As I say, these sorts of tasks aren't exactly unique to Monster Story, but it certainly enforces the sense of deja vu. In the final evaluation, I'm not sure what else I can do except give the game the same score as Monster Story and, in fact, I actually hope that I've missed something embarrassingly vital. 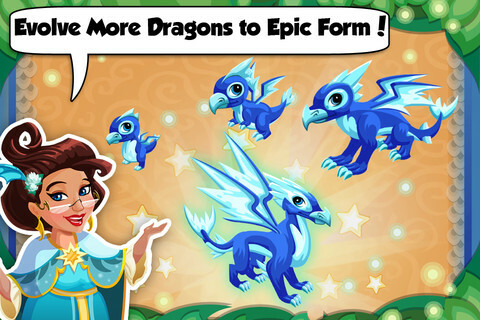 If you thrive on these sorts of games, and in particular Dragon Story's most obvious inspiration, you'll probably welcome the new tweaks and creatures. What's Hot: Bright and breezy gameplay, nice animations and artwork, and a solid progression system. What's Not: We've done this before and not all that long ago.